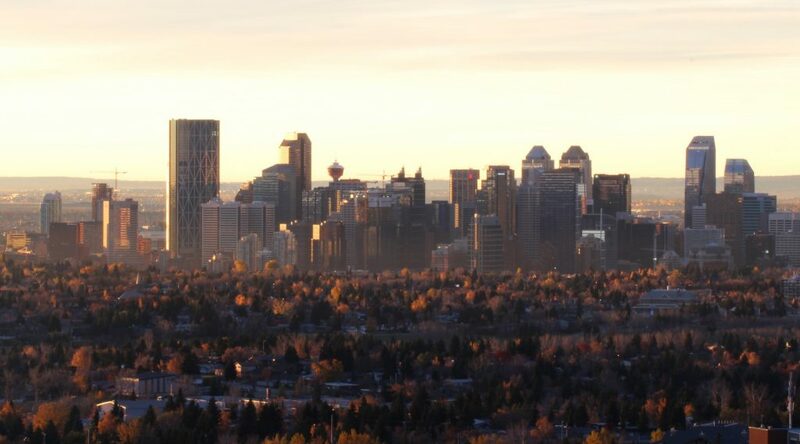 Booming Calgary is seeing so much new construction that some of the city’s most iconic buildings — like the Calgary Tower — will be obscured from most views in a few years’ time. Graphic designer Devin Henry offers us a dramatic preview of this rapid evolution with a series of renderings showcasing all the proposed, approved and under construction developments. Feast your eyes on the future. 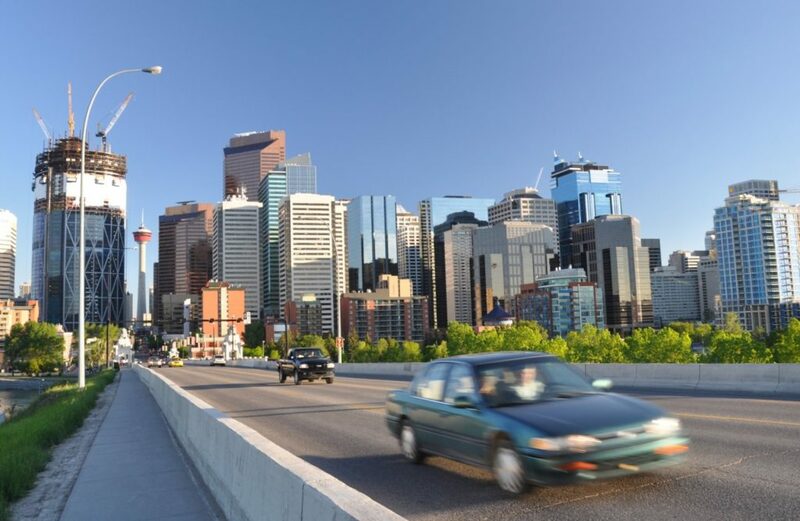 In this rendering, from left to right, you have Eighth Avenue Place 2, Alura, 3 Eau Claire, the Palliser Buildings, the two-tower Brookfield Place development, Telus Sky and both Guardian towers. 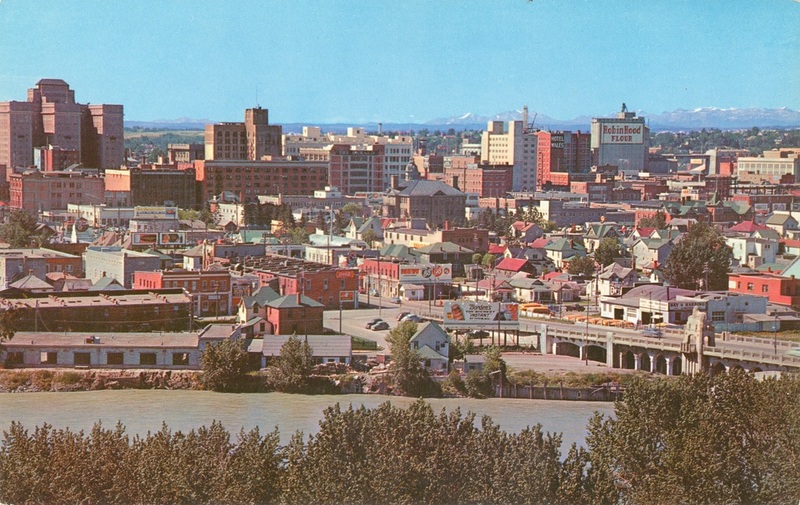 For historic perspective, here’s a similar view from an undated photograph courtesy the Calgary Public Library archives (ca. the late 1970s it looks like). Standing above all other building in this image is Brookfield Place Tower One, which will become Calgary’s tallest tower in 2018. Walk about five blocks east and travel back in time to 1949 and this is what you would see. 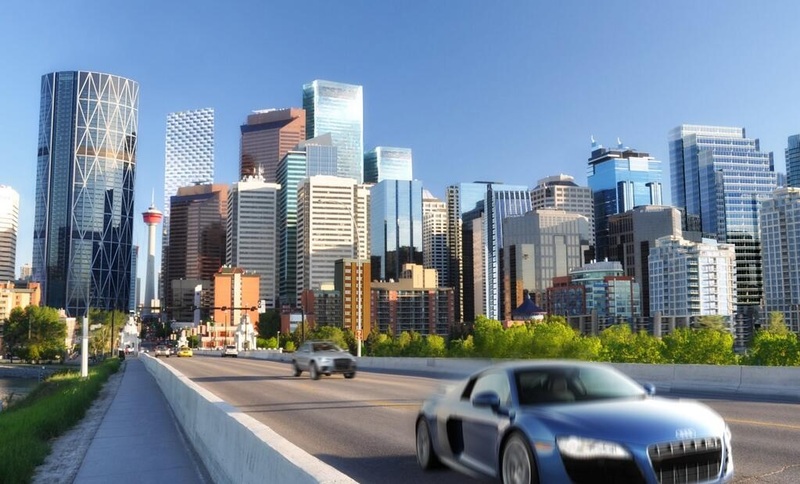 Henry’s most recent rendering of Calgary’s includes the rumoured Oxford Tower, which, at 62 floors, would take the title of Calgary’s tallest building away from Brookfield Place. And here, of course, is the city from a comparable angle today. 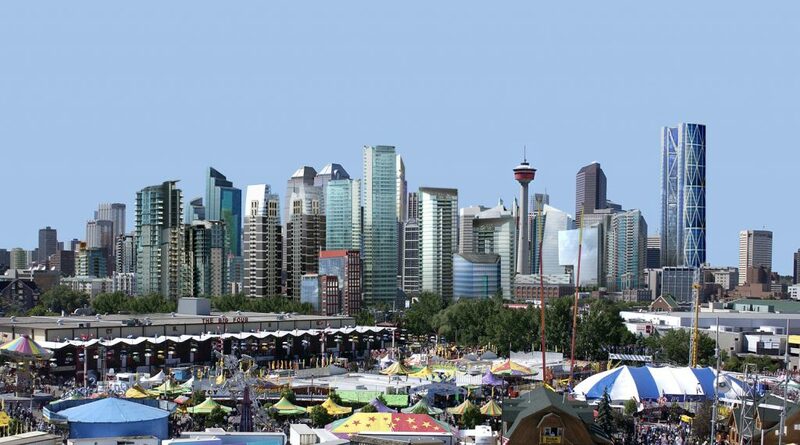 Aerial view of Calgary in the year 2020. 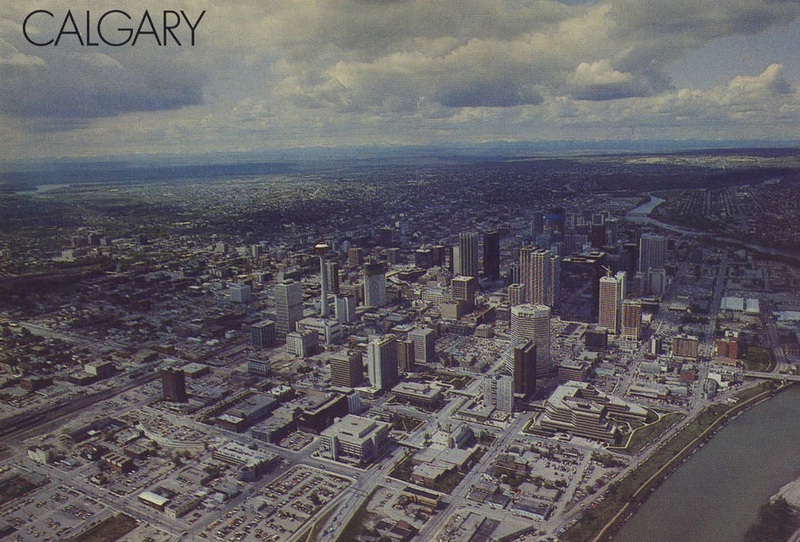 On Twitter Henry notes there are more than 30 new developments in this image “and still more to be added.” Compare that to the below photo taken — we’re guessing — sometime in the late 1970s based on the absent Suncor Energy Centre. While this image leaves out the Eau Claire project and Park Point, it gives you a good idea of what the additions of Brookfield Place and Telus Sky will have on the skyline. 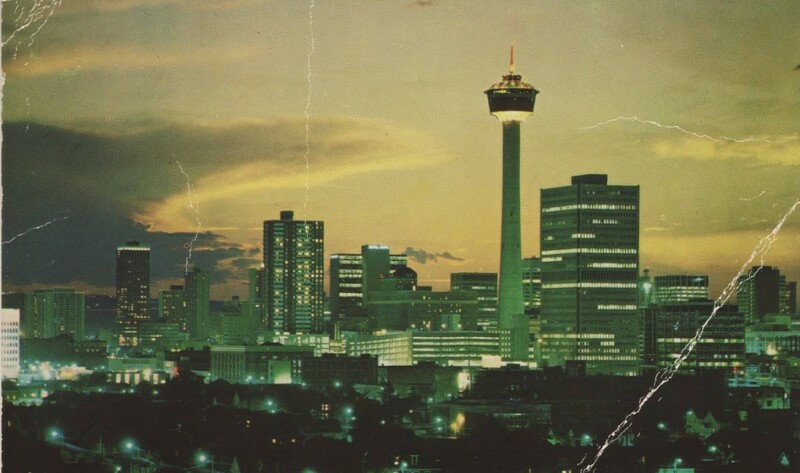 We compare that with another undated photo from the Calgary Public Library archives. The above rendering is one of Henry’s older efforts, with building proposals as there were in the previous decade. 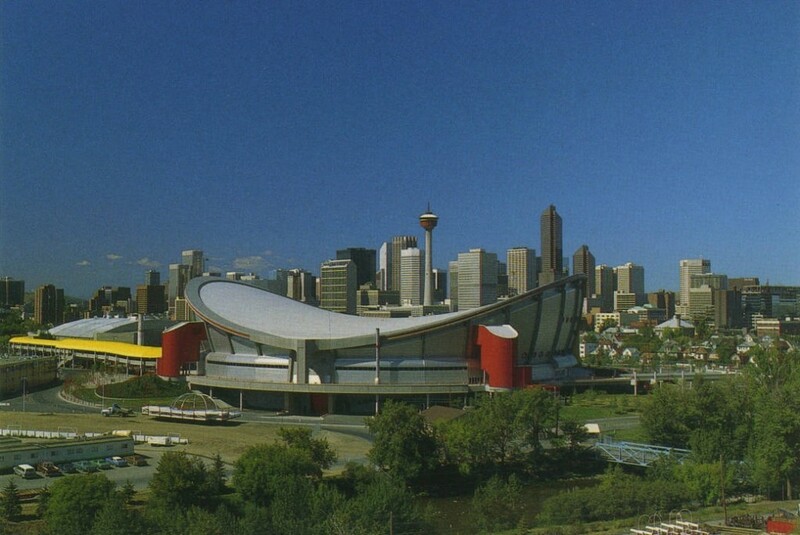 Here’s the same section of skyline in the late 1980s. Want more future renderings? Follow Devin Henry on Twitter. 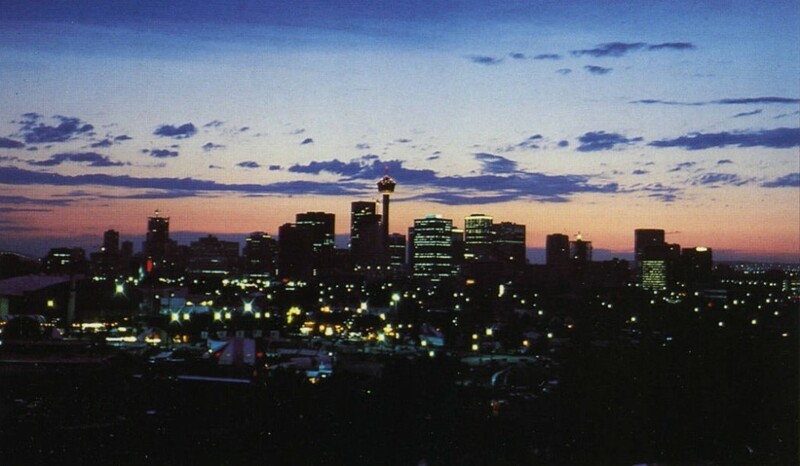 For a more in-depth look at Calgary’s historic skyline, step back in time with us here.